Home News Two SCAN articles nominated for Student Publication Awards! We’re over the moon to announce that two of our articles have been shortlisted in the SPA Awards, as announced this evening! Our Comment Editor Adam Saraswati Rawlings, has been nominated for his article ‘No, I’m Not a Drag Queen’, highlighting the issues he faces identifying as ‘Hijra’: the Hindu concept of being of the third gender. You can read the article here. 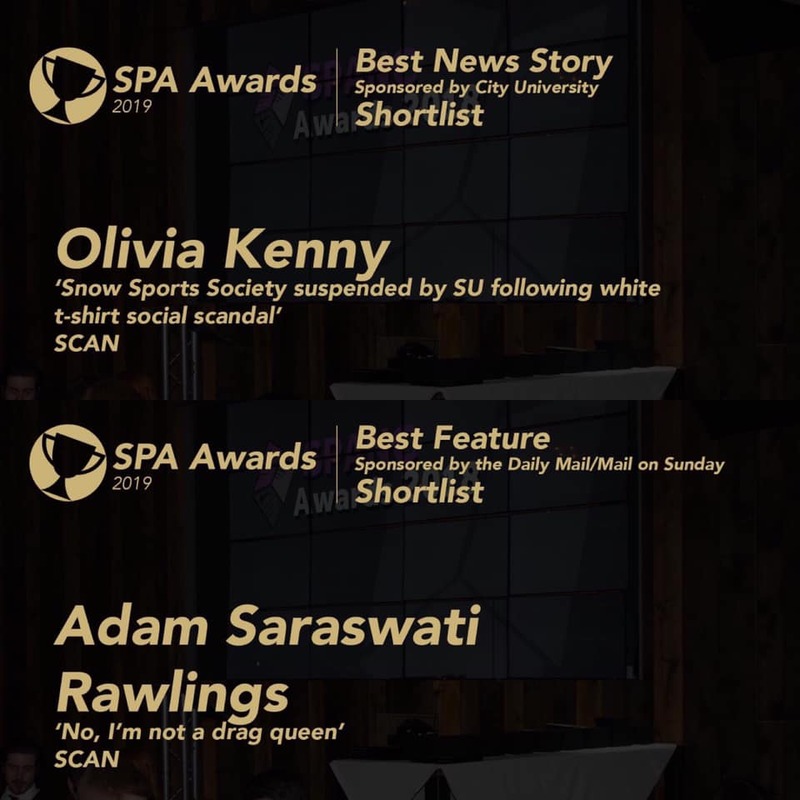 Our News Editor, Olivia Kenny, has been nominated for her article ‘Snow Sports Society suspended by SU following white t-shirt social scandal’, which received over 10,000 views and prompted media coverage in the national news. You can read the article here. We’re incredibly proud and grateful to have been shortlisted in these categories – it couldn’t have happened without the hard work of all of the SCAN team. 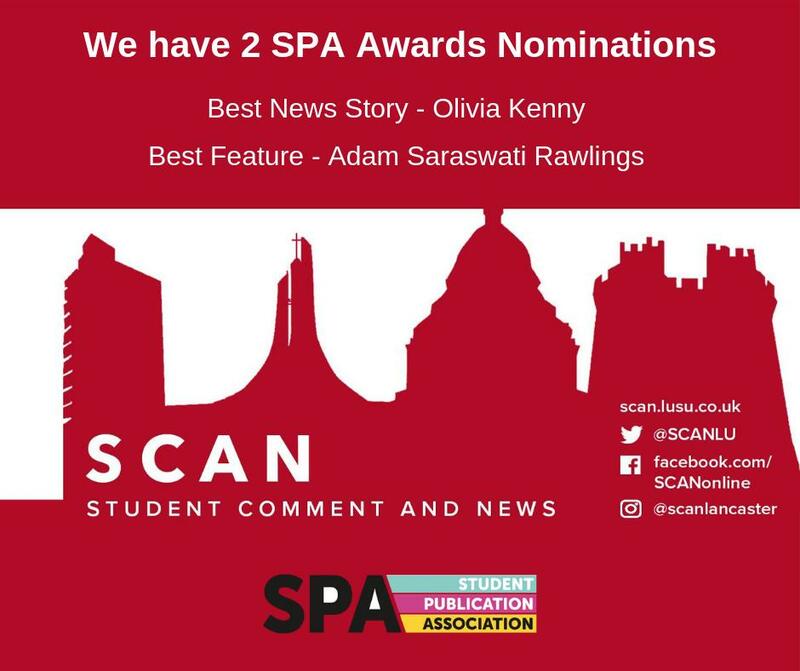 The awards will be announced in a ceremony at York University on 5-7 April during SPANC19, the annual Student Publication Conference. Congratulations, and a massive well done to both our editors!